The artwork of over 100 female artists is now on show at the “Unexpected Subject Exhibition: 1978 Art and Feminism in Italy,” sponsored by Dior. 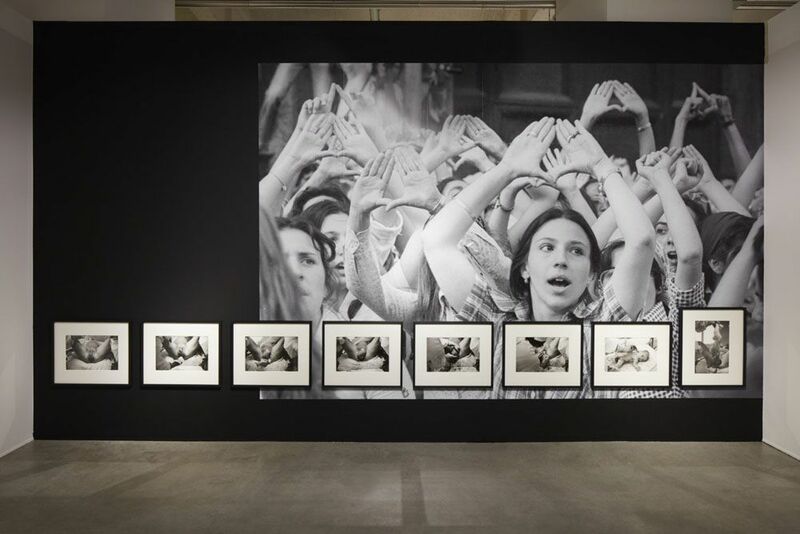 Presented at the Frigoriferi Milanesi Center for Contemporary Art in Milan from April 4 to May 26, the exhibit celebrates the dense and fascinating relationship between visual arts and the feminist movement. 1978, a symbolic year, that of the Venice Biennale edition at which over 80 women artists were invited to show by the curator Mirella Bentivoglio. Their experimental, militant works made a lasting impression. Forty years on, in echo of this key turning point, Marco Scotini and Raffaella Perna, the artistic director of the Frigoriferi Milanesi and the art historian, respectively, are reviving an event that honours major figures such as Tomaso Binga, Irma Blank, Maria Lai and Lucia Marcucci. Last February, Tomaso Binga drew on her feminist ABCs (Alfabeto poetico monumentale) to design the scenography for Maria Grazia Chiuri’s show and, as a preamble, recited her poem-manifesto, an ode to a political commitment that's more relevant than ever. Her powerful work, a fusion of the body and writing, also appears in this exhibition.